We specialize in custom cabinetry, vanities, home bars, built-ins, and more. Expression In Wood was founded in 1978 out of Darrell Covey’s garage in Pasadena CA. Darrell’s exceptional workmanship and integrity quickly garnered him a solid reputation in the cabinet industry and throughout the San Gabriel Valley. Soon EIW grew out of that garage into a humble 1000 square foot shop, which quickly expanded into a neighboring space totaling 4500 square feet. Soon after EIW settled into a 5000 square foot building located in Monrovia CA. Over the next 19 years the company grew it’s reputation as well as client base, and began branching out into Los Angles and Orange County. In 2008 EIW left that building in Monrovia and purchased it’s own facility in La Verne CA. Along with the manufacturing shop the 20,000 square foot facility has a design center, showroom and full service finishing department. Currently EIW is one the largest High End Custom Residential Cabinet Companies in the San Gabriel Valley and services Southern California from San Diego to Santa Barbara County and beyond. While always maintaining a commitment to customer service, EIW takes great pride in the craftsmanship and design of every job. We are a family business with more than 50 years of experience. We specialize in quality and are proud of our custom solid doors, stains and glazes and we use only best finishes. As a full-service remodeling company, we specialize in providing a diverse spectrum of both residential & commercial remodeling services, from drywall installations to tile work, plumbing & electric. With 35+ years of experience, Expression In Wood leads the San Gabriel Valley in Custom cabinetry, Millwork and finishing. Come tour our 20,000 sq ft facility and showroom and be prepared to be wowed! Here at Cabinet City, we care about your kitchen! That’s the bottom line. We aim to offer you beautiful and sturdy cabinets with quality that exceeds that of our industry peers. Cabinet Refresh has been given the Angie's List Super Service Award 3 years in a row. 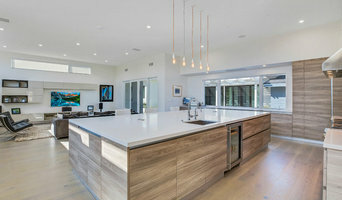 We have served over 2,000 clients in the Los Angeles area ranging from small cabinet refinishing or renewal jobs to major house upgrades in Malibu, Agoura, Westlake Village where we were re-coloring or re-surfacing every wood surface in homes, including garage doors, bathrooms, staircases, window frames, etc. In 2016 we opened a new location in Central Texas. We are excited to offer our award winning service in the Greater Austin area including Georgetown, Round Rock, Cedar Park and surrounding areas. Since refinishing and resurfacing is all we do, we use only the best materials, making sure that they are as non-toxic as possible for the protection of your family, our workers and the environment. Everything we use is considered low or no V.O.C. We work almost exclusively with General Finishes, which has been around for nearly a century. We apply nearly all of our finishes horizontally, when possibly and sprayed with HVLP sprayers and 4 or 4 stage turbines, and dried on horizontal drying racks. This is how our quality stands out from the rest. Geometry Interior Inc. strives to deliver quality service at the best price. We specialize in cabinetry selection and offer interior design services. Contact us for your next project! We're a retailer and wholesaler of fine kitchen cabinets, flooring tiles, and other quality interior finishes. Our specialty (and pride) lies in our frameless kitchen cabinets, often known as “European Style.” Although we import many of our own ready-to-assemble cabinets, we also custom-manufacture cabinets according to our customers’ needs. In addition to our European style kitchen cabinets, Brixcraft offers a wide range of hardwood flooring, vinyl planks, porcelain tile, and marble tile, providing customers with something for just about every budget and decor style. Stop by our showroom today to take a closer look (and get a feel for) our gorgeous and expansive product selection. Our friendly staff can answer questions about our products, help you find exactly what you're looking for within our showroom, and even work with you to select patterns and materials if you don't have a specific vision but just know you need a change. Our Competitive Prices We're able to offer highly competitive prices for all our cabinets and flooring materials. And because all Brixcraft's products are crafted from high-quality materials, using professional design and installation techniques, you can rest assured that everything you buy from Brixcraft is built to last. Whatever your budget, and whether you're interested in a small bathroom backsplash or renovating your entire kitchen, we'll work with you to find the best option for your lifestyle, needs, and personal taste. Our Unparalleled Customer Service We don't cut corners on quality, whether it comes to the products we stock or the knowledge and professionalism of our team members. When you trust Brixcraft's sales staff with your cabinet and flooring needs, you'll never feel pressured into buying something you're not sure about, and our customer support staff will ensure you're fully satisfied with your purchase. We have been providing custom cabinet components since 1965. Designer Kitchens, Established in 2002, has been created to bring the Italian look and feel to your home.The Designs are innovative from the initial design to the full implementation, our work is professional and comprehensive. Cabinet by Design is a design driven cabinet, millwork and furniture manufacturer founded primarily on the principle of building high quality furniture, cabinetry, doors and other wood products. We are focused on the quality of our finished goods exceeding industry standards and client expectations. Cabinet by Design is a division of Archwood Manufacturing Group, Inc. established in 1985 and conveniently located in Van Nuys, California. Given the demand for high quality kitchens and built in closets, Archwood Manufacturing Group, Inc. has expanded to create a separate Kitchen and Closet division managed by our dedicated designers and craftsmen. We are a service oriented business which focuses on quick service, low prices, and our wide range of product allowing us to serve any budget our customers require. 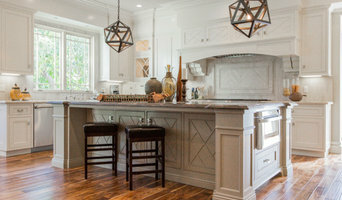 At The Cabinet Spot we have top quality and unique selection of wood RTA kitchen cabinets to suit any small kitchen design to large, with the lowest prices in the nation and 100% customer satisfaction. With our nationwide shipping service you can shop online and get your ready to assemble cabinets within 2 weeks. From contemporary trends to classic styles we are sure you will fall in love with your new kitchen from The Cabinet Spot. We also offer our personal design services to help you with you project. Visit our showroom to see our beautiful selections. When you think about cabinets, your mind probably goes straight to kitchens and bathrooms. But San Marino cabinetry professionals’ abilities extend far beyond those obvious spaces. If you need built-in storage, shelving or custom case goods, no matter what the room or purpose, cabinetry experts can help. 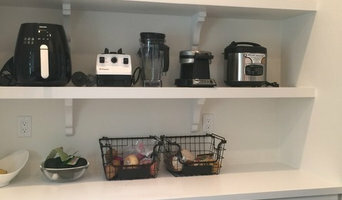 Their focus on details and space-planning skills can help you squeeze functionality from even the tiniest corners of your San Marino, CA home. 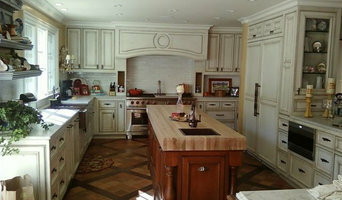 In addition, San Marino, CA cabinetry pros can help you give worn or dated cabinets a makeover. They can replace doors; add glass inserts, decorative moldings and other details; or give cabinetry a new coat of paint or specialty finish. Your cabinetry professional might work closely with a California kitchen designer, builder, remodeling contractor or interior designer. Here are some related professionals and vendors to complement the work of cabinets & cabinetry: Kitchen & Bath Designers, Kitchen & Bath Remodelers, Interior Designers & Decorators, Closet Designers and Professional Organizers, Woodworkers & Carpenters. Find a cabinetry professional on Houzz. Narrow your search in the Professionals section of the website to San Marino, CA cabinets and cabinetry. You may also look through California photos to find examples of cabinets that you like, then contact the cabinetry professional who worked on them.